Interactive chat is widely considered one of the next frontiers of web and mobile development. Whether it's to help guide users through a support issue, triage information requests, or even to sell them a product, chat opens myriad opportunities for user engagement. There is a new capability of Progress Kinvey, called Kinvey Chat, that provides fully-featured chat capabilities. But it's more than your average chatbot solution. 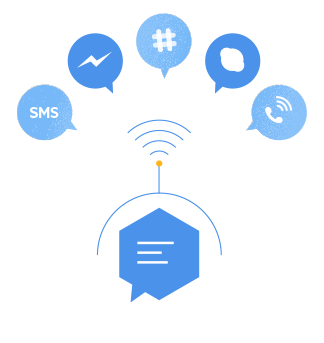 Kinvey Chat enables a "cognitive flow" that uses Natural Language Processing (NLP) and AI to actually predict conversation paths. This provides a more realistic and trusted chat experience, eliminating the uncanny valley effect which often frustrates users. Curious about Kinvey Chat? Watch the webinar now! What does Kinvey Chat have to do with NativeScript? Well, one of your deployment options for Kinvey Chat is mobile! And of course there is a NativeScript-optimized SDK for this very purpose. 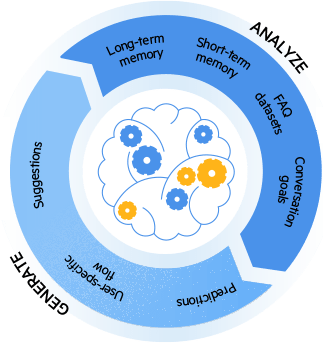 Aside from being able to take advantage of the entire Kinvey platform (think about secure business logic, robust performance, high levels of security, enterprise-grade identity management, cloud and on-prem data access...the list goes on), a main differentiator for Kinvey Chat is this "cognitive flow". 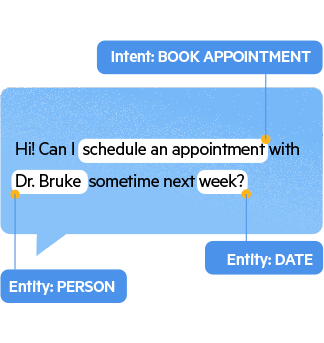 The Kinvey Chat natural language engine supports dynamic training on top of existing enterprise data (such as product info, company info, or contact names). It then detects these entities, extracts the user's intent, and passes them along to the cognitive flow. Kinvey Chat next analyzes the current conversation, the long-term bot memory, and the goals defined by you. Following this, it dynamically generates the conversation flow on each user input. Kinvey Chat requests needed data from internal systems like SAP, Salesforce, Microsoft SharePoint or any RESTful API. Finally, it displays the response in the user's channel of choice (such as a web app, mobile app, Facebook Messenger, or Viber). There is far more to learn about Kinvey Chat, so your best bet is to watch the webinar now. Grab a seat and learn how Kinvey Chat can help you engage your users like never before!